It’s been a while since I did a roundup of my favorite beauty bloggers (last seen here), so I thought I’d better update you on my latest obsession: the Brits. Aside from their accents, which I find myself attempting to imitate at various points throughout the day, their tutorials and videos are killer … and now I want to take a vacation to London ASAP. Who wants to go with me? Lily Pebbles: Lily’s product recommendations are always right up my alley, and her vlogs (she’s currently vlogging every day in May) make me feel like we’re real friends. Oh, and I want her entire wardrobe. Vivianna Does Makeup: Anna is just a genuinely nice, happy person, and she makes beauty tutorials seem attainable. She has really stepped up her editing game in the new year, too. Did I mention she and Lily both have incredible blogs I read every day? Never miss a post. Amelia Liana: Amelia is the girl next door; you’d want to be friends with her, and her laugh is so infectious. Her weekly vlogs are hilarious, and you find yourself wanting to take part in her many European adventures. Hello October: Suzie, like Lily, has an incredible wardrobe I want to steal, and her monthly beauty favorites videos are ones I look forward to. Her vlogs are edited beautifully and are just a treat to watch. I Covet Thee: Alix is a fellow pale gal, so I find whatever she recommends also looks great on me. She rocks a winged liner and red lip like nobody else, and I’ve found myself sporting looks inspired by her during evenings out. Fleur DeForce: Fleur is the first British beauty blogger I was introduced to, and I’ve been hooked ever since. Her eye makeup is incredible, and her review videos are so concise and spot-on. 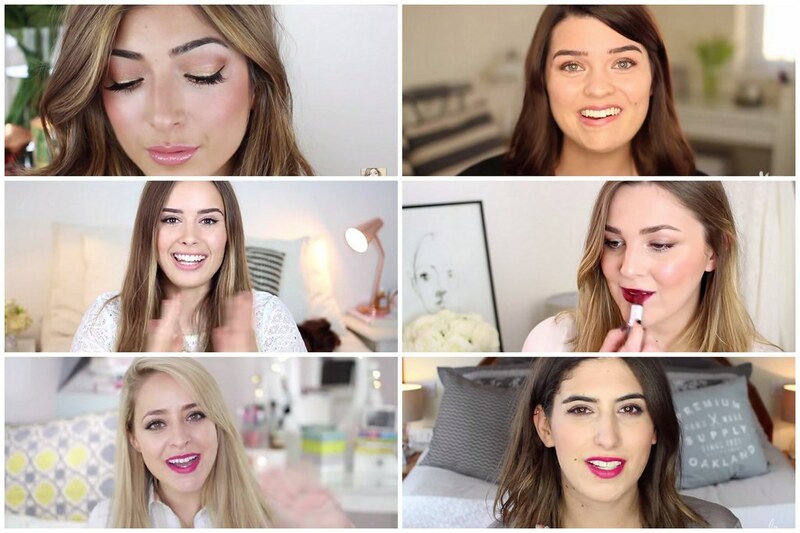 Now it’s your turn: Any British beauty bloggers I need to subscribe to on YouTube? Let me know in the comments below!